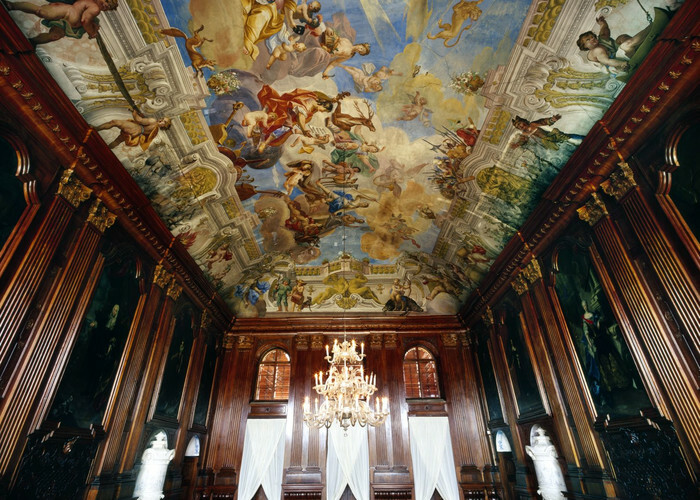 The tour includes the Ancestral Hall, three music rooms, Blue Salon with a picture gallery, Countess’ study, Gold Salon, dining room, Count’s study, Ballroom, Chinese Cabinet, Count’s bedroom and the Sala Terrena with Roman baths on the ground floor. Most of the roos are furnished in High Baroque style. The tour includes a reception room, dining room, nursery, gentleman’s room, lady’s room, portrait gallery, preparation room and kitchen. 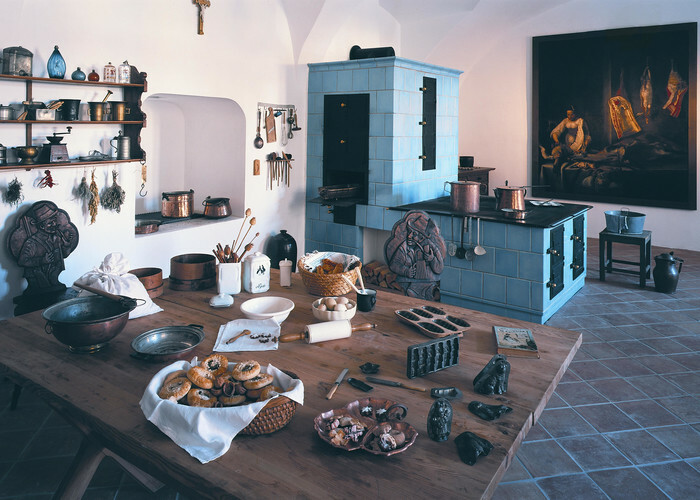 A seasonal exhibition on dining is installed in the rooms. Route B is accompanied daily by a theme exhibition. 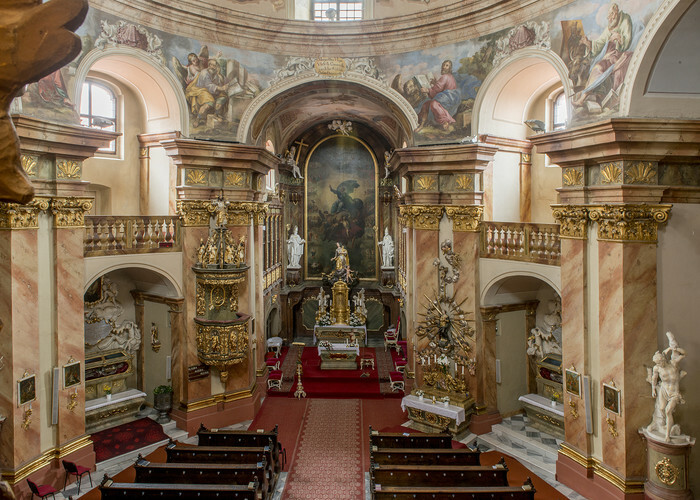 Tour of the Baroque interior of the Church of St. Margaret. The exhibition of antique toys is admission free and without a guide. You can see antique dolls with their suitcases and travel accessories, teddy bears, prams, model rooms, model kitchens, steam engines, building sets, model trains and others. There are a total of over 200 exhibits.